Come back to a nice warm house, without ever having to heat an empty one. 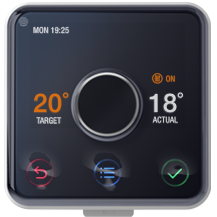 Hive Active Heating lets you control your heating from your smartphone with a beautifully designed thermostat. And if you’ve got a hot water tank, you can control that too. Installation by a British Gas engineer available, no matter who supplies your energy. Change your heating and hot water (if you have a hot water tank) using your mobile, tablet or laptop. You'll only heat your home when you need to so you could save up to £150 a year on your heating bills. A British Gas engineer will install Hive for you. It's included in the price and only takes around an hour. 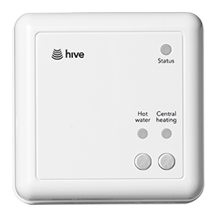 Hive works with your existing heating system and there's no need to switch energy supplier. Switch your heating on and off, up or down. For those times when you need it, you can Boost for up to six hours. Set heating and hot water schedules to fit in with your life. Set between one and six time slots a day. Automatically activates when the temperature inside your home dips below 7°C. Helps to protect pipes from freezing. Set a pin lock on your app or thermostat. Switch your hot water on and off and if you need a bath or shower outside your schedule you can Boost for up to 6 hours. 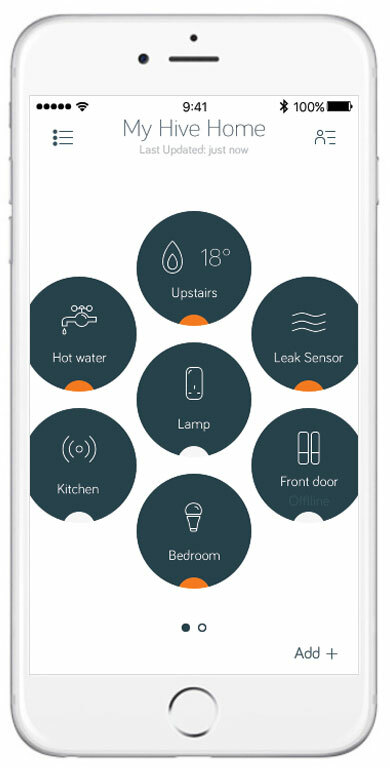 Based on your phone's location, Hive will send you reminders to turn your heating on before you get home, or off if you've left it on. Tell Hive your holiday dates and your heating will sleep until you get back – so you'll always return to a warm home. Send your command in a text message. Add up to five users so they can control the heating and hot water too. Lets you control your heating and hot water when you’re at home. 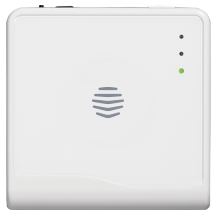 Plugs into your broadband router and lets you control your thermostat remotely. Lets your thermostat and hub talk to each other.